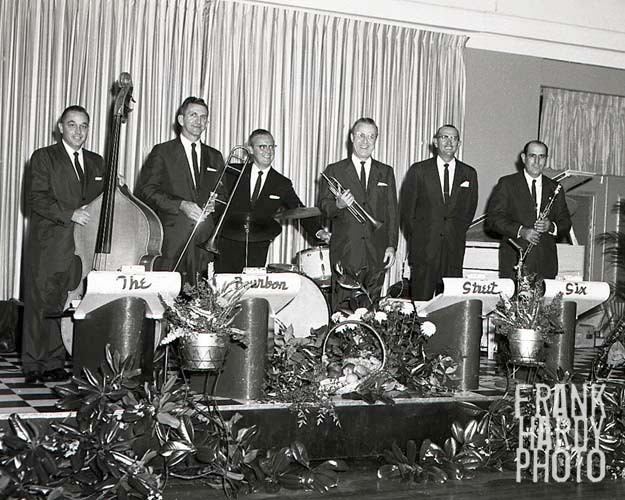 I happened upon this photograph while searching for “The Bourbon Street Six.” I have several photos of my late father, William (Bill) Womack playing with a band of the same name in the late 50’s or early 60’s and I have to wonder if this photograph could be of some of the band members that he played with. He was a Pensacola H.S graduate c/o 54′ and played the drums throughout the south east. While I can’t identify these individuals, I could not pass up what appeared to be a coincidence.